Is cost basis reconciliation necessary? Conventional wisdom would say that the answer is ‘yes’. Everyone knows that any firm managing investments should be completely reconciled with their custodian on a daily basis. However, what exactly does that mean? Does “completely reconciled” include position, cash and cost basis? When looking at cost basis, what kind of cost basis is required? A typical response is to err on the side of caution and just reconcile everything. However, that answer is not always optimal, according to Ryan Kerry, CEO of Accusource. In certain circumstances full cost-basis reconciliations may not be necessary. When it comes to reconciliations, understanding details and focusing on the right risks has the potential to save your firm considerable man-hours and money. We sat down with Kerry, whose firm provides outsourced portfolio accounting solutions, to get a blueprint of everything you need to know about the details of custodian reconciliation to make the right decisions for your firm. The question of what to reconcile is one that his clients raise frequently. The Emergency Economic Stabilization Act of 2008, colloquially known as The Bailout Bill, established the requirement for custodians to track and report security cost basis to the IRS. The goal of the rule is to simplify realized gain and loss reporting for tax purposes. 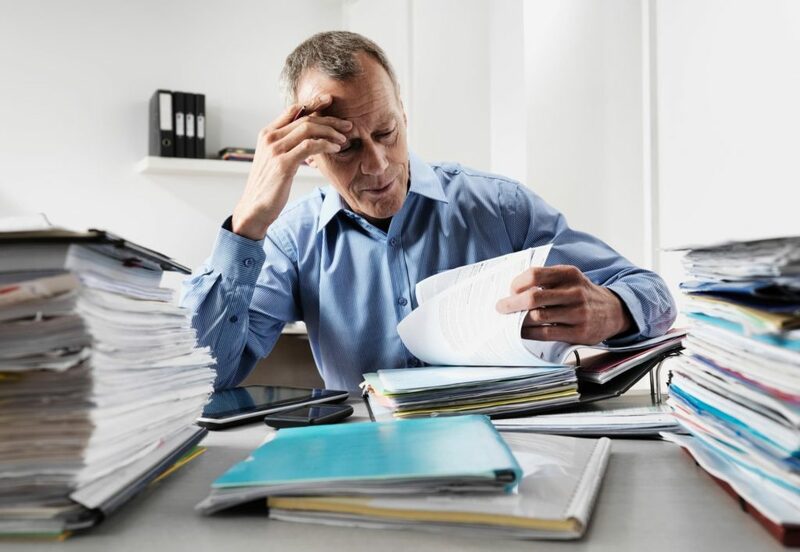 While desire for simplicity and convenience may be driving the requirements, there is a lot of confusion about the impact on financial advisors. An important point to remember is that the law places the primary responsibility for tracking cost basis squarely on the shoulders of custodians. The situation gets more complex when there are multiple custodians. Here is a shortcut to help you think through the decision. If you have a single custodian, you may not need to do a full cost-basis reconciliation within your own reporting or accounting system because the custodian is ultimately responsible for it. If you deal with multiple custodians, cost basis reconciliation may be necessary or helpful. The true test for whether or not you need a full cost basis reconciliation is in how you plan to use that data. If you are relying on the cost basis data to drive mission-critical decisions, then you need to reconcile the cost basis data internally to be confident in your recommendations. If the reconciled data is nice to have but not critical for decision-making, consider relying on the custodian instead. Do I need to Reconcile Cost Basis For Performance Reports? The answer is “no”, although this is a common misconception, Kerry claims. Performance calculations use relative changes in market value of portfolio positions from the start to the end of the reporting period. For example, a quarterly performance report calculates the difference between market value of the position from the start to the end of a quarter to determine the unrealized gain or loss. Cost is not relevant for this calculation. Of course, cost basis is required to calculate realized gains or losses when positions are sold. If the cost basis is wrong and the resulting realized gain or loss is incorrect, the difference will be reflected in unrealized and the performance results will not be impacted. Do I Have to Reconcile All Accounts? Only if they are taxable! Looking back at the original intention of the law, the goal is to report realized gains and losses for tax purposes. If the security does not generate a taxable transaction, it does not have to be reconciled by cost basis. While this sounds logical, focusing on taxable accounts can save a lot of time and money if you are going to invest in reconciling cost basis. Historically, there have been two methods for tracking cost basis at the portfolio level, Kerry explained. The cost information could be lumped together (i.e. multiple purchases of the same security are tracked in the same lot), or it could be maintained in individual lots. The lump method can cause issues if a client holds multiple lots, each with a difference cost basis. In the event of a partial sale (i.e. less than the full position sold), which cost basis should be used to account for the sale? As a result, tracking tax lot information is critical for accurate realized gain and loss accounting. If your custodian is unable to provide you with tax lot information, there is little you can do to remedy the situation. Kerry shared that clients occasionally ask Accusource to reconcile tax lots in situations where the custodian can’t provide the necessary data. No one likes to disappoint a client, but without the data there is not much that can be done. The ultimate value of performing reconciliations, beyond assuring accurate reporting for taxes, is in confirming that every transaction during the period has been adequately captured. To that effect, Kerry’s recommendation is to add a periodic realized gain and loss reconciliation to the standard process. After all, realized gains and losses are ultimately what you need to reconcile in order to comply with the legal requirements, he observed. Most clients don’t reconcile realized gains and losses as frequently as the cost basis. That is driven in part by practical considerations: realized gain and loss data is often difficult to get, and most platforms do not come equipped with a standard process to perform this level of reconciliation. Kerry mentioned his firm has built standard processes for reconciling realized gains and losses, and that developing a formal structure around this task has improved the workflow for the clients that require this level of audit. The biggest take-away from our conversation is that sometimes following the conventional wisdom leads to unnecessary work. Obtaining clarity on whether or not extensive cost basis reconciliation is required can save your firm considerable time and expense.